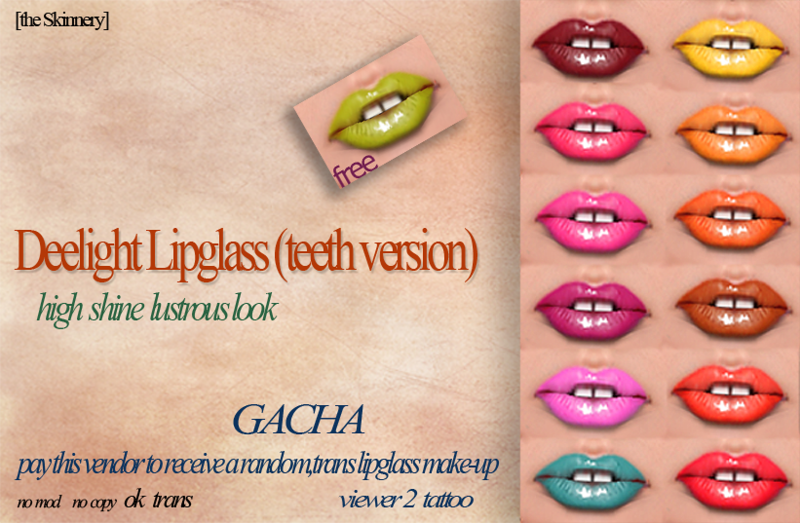 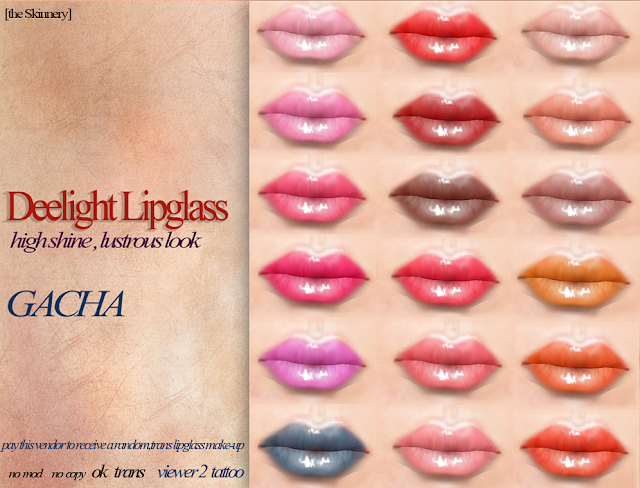 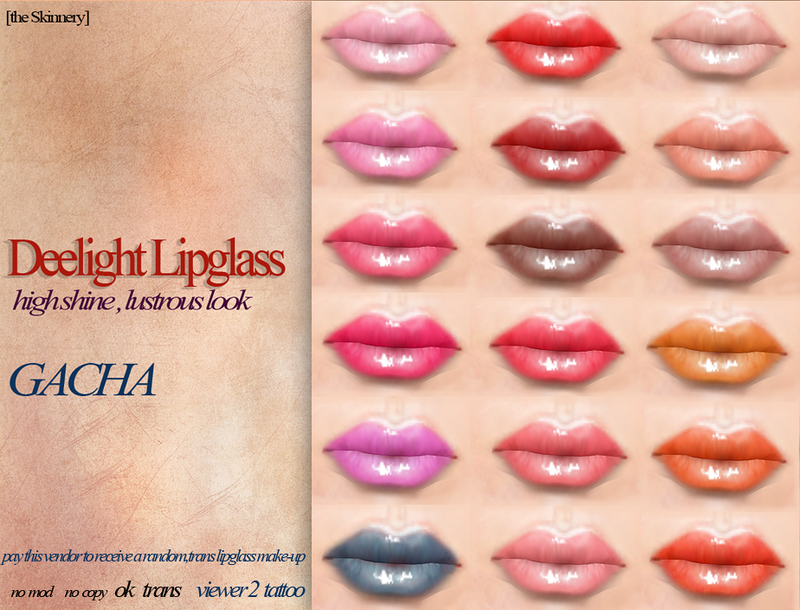 The Deelight lipglass and Deelight lipglass(teeth version) are gachas! !Isnt that awesome! 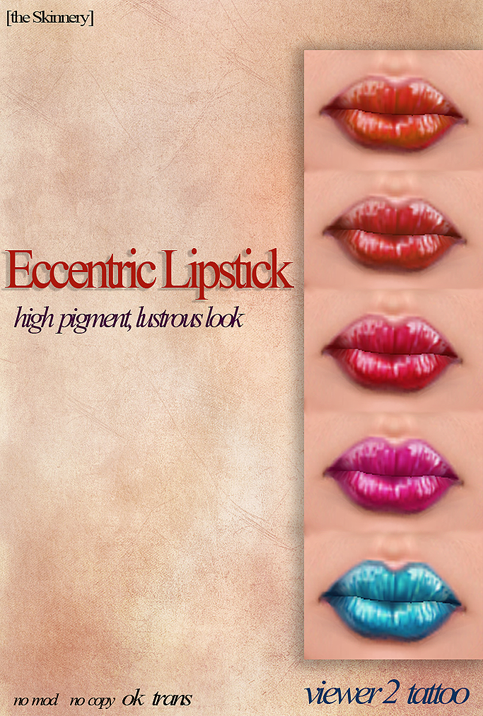 !Its transfer and only 20ld per play....here http://slurl.com/secondlife/Camomile/7/111/23 and dont forget about the Eccentric Lipstick set in five colors, glossy and full of pigment!